Happy Friday, everyone, from the world-wide headquarters (WWHQ) of the Corvallis Knights, your 2016 West Coast League champions! The Knights fell 6-2 at Walla Walla on Thursday night in Game 2 of a three-game series with the Sweets at Borleske Stadium. The Sweets thus won the series, as they also prevailed 3-0 on Wednesday night. The series concludes at 7:05 tonight. Cal Poly righty Connor Redmond (1-2, 2.89) is the projected starter for Corvallis, opposed by Tim Josten (4-0, 2.45) for the Sweets. We then head to Yakima Valley for a three-game set with the Pippins. Our next home game is Tuesday against the Salem Capitols of the Oregon Collegiate Baseball League. Tickets for our WCL Divisional Series home playoff game set for Wednesday, Aug. 9, are on sale. The WCL postseason is powered by Pioneer. Click here to purchase tickets; for more postseason details, please click here. The San Diego Padres have promoted second baseman Peter Van Gansen (2013) to E l Paso of the triple-A Pacific Coast League. He was at San Antonio of the double-A Texas League after starting the season at Lake Elsinore of the high-A California League. 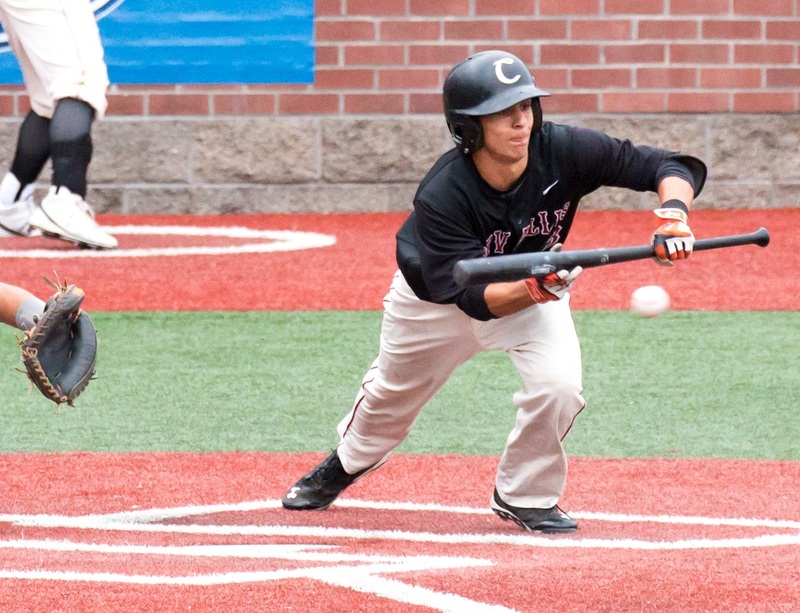 He was first-team all-WCL in 2013, helping us win the title over Wenatchee. Peter played at Cal Poly. Seattle sent RHP Sam Gaviglio (2009) back to triple-A Tacoma on Thursday. He lost 6-2 at Houston on Tuesday in his last start and dropped to 3-5, 4.62 following his fourth loss in a row. Seattle pitching coach Mel Stottlemyre was ejected for complaining about the strike zone. It appeared Gaviglio was being squeezed by the umpire, as many pitches on the black on the strike-zone television graphic were not called strikes. Gaviglio struggled in his last two starts, allowing 12 runs and 17 hits in 10.2 innings in two losses. 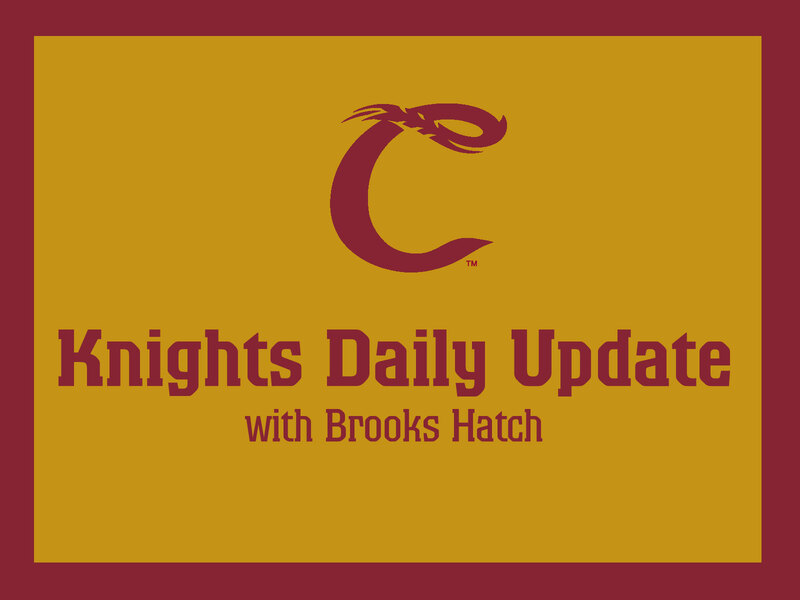 Time to update the stats of our minor-league Knights’ pitchers. We did the position players on Thursday. MAX BEATTY (A Winston-Salem, White Sox): The righty from Pacific Lutheran (2010-12) is 2-4, 4.66 in 12 games, with 34 strikeouts in 46.1 innings. CAMERON BISHOP (not assigned, Orioles): The lefty from UC Irvine (2015-16) signed last week and has not yet been assigned to an affiliate team. CASEY BLOOMQUIST (A Myrtle Beach, Cubs): The righty from Cal Poly (2013) is 3-4, 7.08 in 21 games, with two saves and 43 strikeouts in 54.2 innings. NICK DURON (A Lowell, Red Sox): The righty from Clark CC (2014) is 1-2, 5.09 in five games, with 12 strikeouts in 17.2 innings. TREVOR FRANK (A Lake Elsinore, Padres): The righty from UC Riverside (2012) is 2-1, 2.57 in 28 games, with six saves and 43 strikeouts in 35 innings. JACE FRY (AA Birmingham, White Sox): The lefty from Oregon State (2011) is 0-1, 4.03 in 22 games, with a save and 37 strikeouts in 29 innings. SAM GAVIGLIO (AAA Tacoma, Mariners): The righty from Oregon State (2009) was sent to Tacoma on Thursday, where is 2-4, 3.58 in six games, with 40 strikeouts in 62.1 innings. TED HAMMOND (A Everett, Mariners): The righty from Seattle U (2015) is 0-0, 8.03 in 10 games, with 10 strikeouts in 12.1 innings. BEN (Wetzler) HOLMES (A Jupiter, Marlins): The lefty from Oregon State (2011) is 0-5, 4.30 in 23 games, with 39 strikeouts in 52.1 innings. CHASE JOHNSON (AAA Sacramento, Giants): The righty from Cal Poly (2011) is 0-2, 4.35 in six games, with nine strikeouts in 10.1 innings. DJ JOHNSON (AA Hartford, Rockies): The lefty from Mt. Hood CC (2008-09) is 1-1, 3.11 in 31 games, with two saves and 35 strikeouts in 46.1 innings. SLATER LEE (ARL ATHLETICS): The righty from Cal Poly (2015) is 1-0, 5.14 in five games, with a save and five strikeouts in seven innings. GREG MAHLE (AA Mobile, Angels): The lefty from UC Santa Barbara (2012) is 3-0, 2.75 in 16 games, with three saves and 18 strikeouts in 19.2 innings. STEPHEN NOGOSEK (A Salem, Red Sox): The righty from Oregon (2013) is 2-0, 1.46 in 10 games, with four saves and 15 strikeouts in 12.1 innings. JIMMIE SHERFY (AAA Reno, Diamondbacks): The righty from Oregon (2011) is 2-0, 1.77 in 32 games, with 13 saves and 46 strikeouts in 35.2 innings. 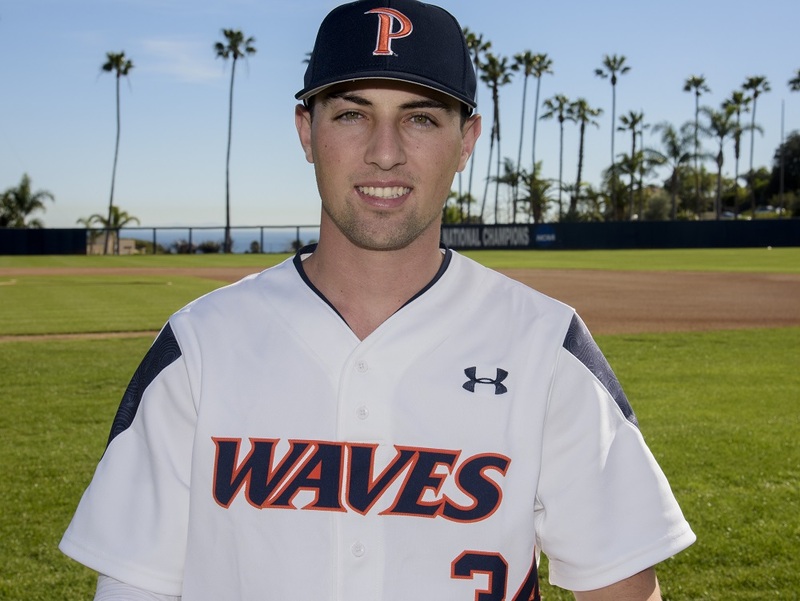 AUSTIN SODDERS (A Lakeland, Tigers): The lefty from Riverside CC (2014) is 1-1, 0.69 in four games, with 22 strikeouts in 26 innings. RYLEY WIDELL (R Elizabethton, Twins): The lefty from Washington State (2016) is 0-0, 0.00 in 2.1 innings in one game, with two strikeouts. Montgomery (AA Southern, Rays) first baseman Dalton Kelly (2014) was 3-for-3 with a double, a walk, two runs and an RBI in a 5-0 win over Pensacola on Thursday to earn Corvallis Knights Minor League Player of the Day honors. He played at UC Santa Barbara. Outfielder Cade Gotta (2011) was 2-for-3 with three runs for the Biscuits; he played at San Diego Christian. Charlotte (AAA International, White Sox) first baseman Danny Hayes (2010) was 1-for-3 with a run and a double in a 13-2 loss to Scranton/Wilkes-Barre. He played at Oregon State. El Paso (AAA Pacific Coast, Padres) catcher Rocky Gale (2007, 2009) was 2-for-4 with an RBI in a 5-3 win over Sacramento. He played at Portland. Second baseman Peter Van Gansen (2013) was 1-for-3 with two runs and an RBI for El Paso in his first game since being promoted from double-A San Antonio. Peter played at Cal Poly. Mobile (AA Southern, Angels) reliever Greg Mahle (2012) pitched 1.1 scoreless innings and had two strikeouts in a 4-1 loss to Chattanooga. He played at UCSB. Birmingham (AA Southern, White Sox) reliever Jace Fry (2011) struck out the side in the ninth inning to end a 4-0 victory over Jackson. He played at OSU. Greeneville (R Appalachian, Astros) first baseman Roman Garcia (2016) had a solo homer in a 7-6 loss to Danville. He played at San Diego. That’s all for today. Have a great weekend and see you back here on Monday.